‘Applied Kinesiology’ is a term which refers to the application of muscle testing as a biofeedback mechanism. Around 1960, a chiropractor named George Goodheart discovered that tension in the muscles of the body could be measured to assess the health of organs. 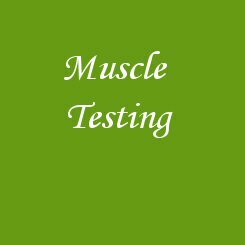 This measurement of muscle tension to discover information about the body is known now as muscle testing. Quantum Change Kinesiology, developed by Andrea Starsi and myself in 2014, is based on the understanding and insight that there isn’t only a relationship between muscle tension and organ functionality, but that muscle tension as well as other physical systems are primarily affected by the mind as thoughts, emotions and feelings. In other words, QCK uses the tool of muscle testing not to assess organ functionality – any diagnoses on physical conditions is left up to the medical professionals – but to uncover and map out the relationship between physical and/or psychological issues and the participation of the individual in everyday mind patterns. With sudden onset stress, the muscles tense up all at once, and then release their tension when the stress passes. Chronic stress causes the muscles in the body to be in a more or less constant state of guardedness. When muscles are taut and tense for long periods of time, this may trigger other reactions of the body and even promote stress-related disorders. The aim of QCK is to measure and show to the client how they are creating stress through their involvement in specific thought-, emotional and feeling patterns, and how this stress then contributes to the creation and continuation of their physical and/or psychological issues and conditions. A QCK practitioner recognizes that body, mind and being are not separate entities but form a holistic unity. The body is used as a medium through which the mind shows itself so the being may learn about itself and have the opportunity to heal, change and grow. The role of the practitioner is to be the catalyst that serves to facilitate communication between the body and the being. This is how QCK facilitates and enables Quantum Change. Once a person is able to see and recognize the internal mind patterns that are causing harm on the level of their physical body and self/being, their ability to take on and correct the patterns into something more constructive and self-supportive is quantified immensely. We often face physical and psychological illnesses, diseases and conditions in our life that sometimes become progressively worse, without realizing the effects that our own mind – our own thoughts, feelings and emotional reactions – is having on the emergence and progression of these issues. And so we sadly also remain oblivious to our own potential to heal, from the internal as our mind to the external as our physical body. The foundational starting point of QCK is to unlock and support this potential for self-healing through self-change and to show the extent to which who we are in our mind influences how we experience our physical body and self.